Barcelona midfielder Arturo Vidal has disclosed his desire to be selected in Ernesto Valverde’s starting XI against Atletico Madrid on Saturday. 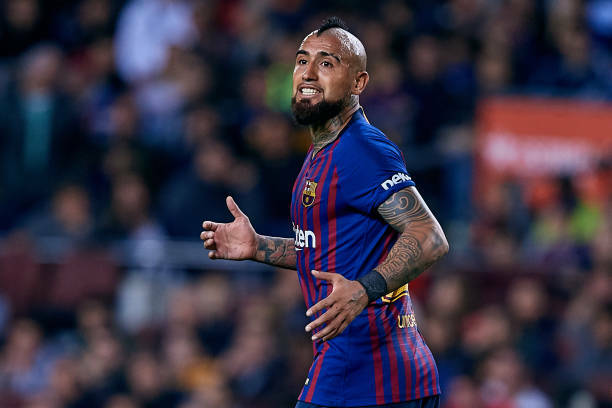 Vidal joined Barcelona this summer but has surprisingly started just two of a possible 12 La Liga matches to date this campaign and is said to be frustrated. Returning from the international break, he scored twice for Chile against Honduras, the central midfielder believes he should be in Barcelona starting line-up. “I have returned from the international break and I’m here in Barcelona to work hard and impress. “Now I feel that I am at full capacity, at 100% and feeling very good. I scored a couple of goals and played really well, so I am in a good moment.